The 2016-17 YAC Annual Report is a round-up of YAC's achievements and highlights from around our network of local YACs and beyond. It includes information about our membership and amazing volunteers, and includes photographs from around our network of local YACs. 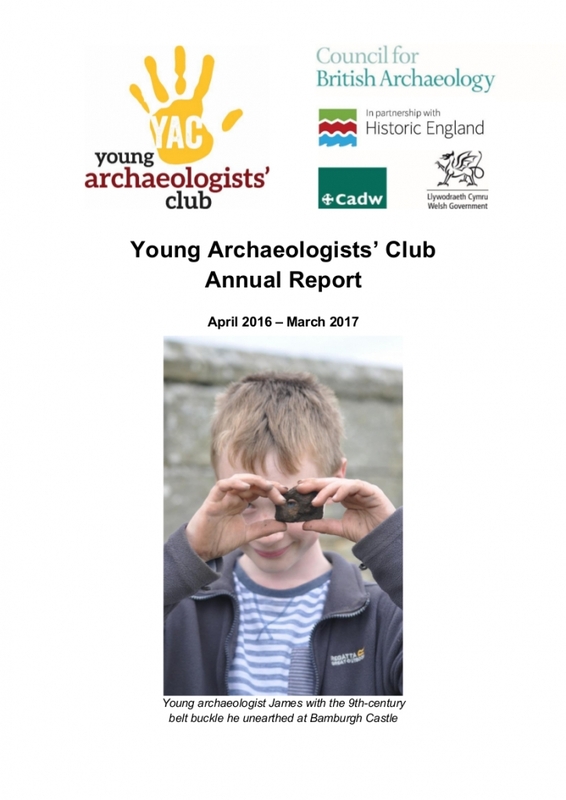 The Annual Report also includes details of our 2016 Leaders' Weekend in Wakefield, the 2016 Young Archaeologist of the Year Award, our Dig It! excavation competitions, the YAC website, our downloadable resources, communications, social media activity, and more. The Report also includes information about YAC's development plans throughout 2017-18. You can download the report as a PDF. Please contact us if you have any comments or questions about the content of the Annual Report.